Smoked Meat SandwichThese are the best bagels I've had in Canada so far!! !Delicious bagel sandwichesExcellent bagels and sandwiches! Our world famous bagels have been a staple in the nation's capital for over 18 years, & we've prided ourselves on recipes that use all natural ingredients w/ no preservatives. 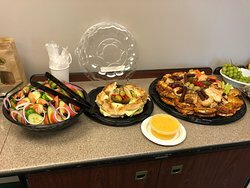 Our sandwiches are all made w/ our world famous bagels - voted Ottawa's best bagel 8 years in a now by the Ottawa citizen & the Ottawa Xpress. Delicious variety of bagels. We can see them making the bagels as well. We enjoyed buying enough to even keep in the fridge for a couple of days and they tasted good. There is a slight sweetness to these bagels. Bagels are excellent. I had the sesame bagel with creme cheese. The coffee is drinkable. I wish they had better coffee...but bagels are real nice. For folks in the GTA who like Kettelmen's, you can get them at Farmboy locations here. I should say, that I can get them at Farmboy in Hamilton so I would assume they carry them at all their GTA locations. Kettleman's makes hot, fresh Montreal-style bagels around the clock. 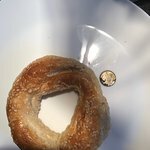 I had a sesame bagel and a sweet bagel. Both were hot out of the oven, and my mouth waters now thinking about them. It made a cheap and delicious breakfast. Sooooo good! I had the Reuben sandwich bagel; it was ridiculous how delicious it was. Definitely grab a bag of bagels to go. They are so good! Yay carbs! 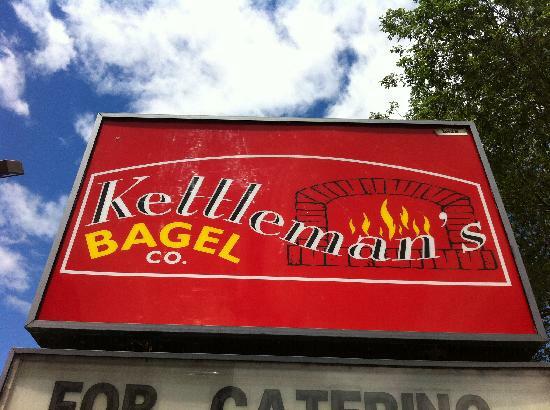 Get quick answers from Kettleman's Bagel Company staff and past visitors.